A high neck top with a soft flounce to the hem and sleeves and self tie bow. 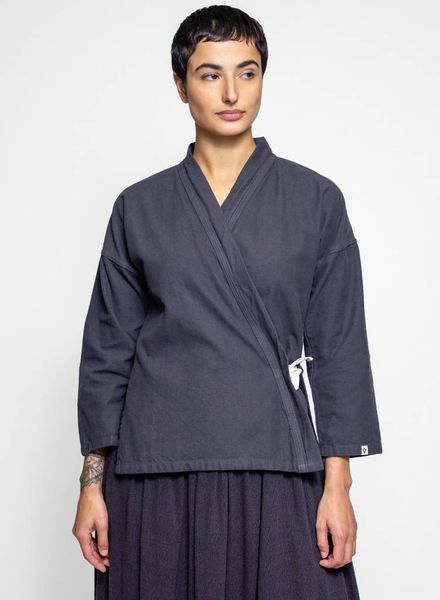 A khadi cotton kimono that can be worn in a yukata fashion or open. A button down cardigan with lower pockets. It is reversible, both sides wearable. A long sleeve double breasted button front chef-style linen blouse. 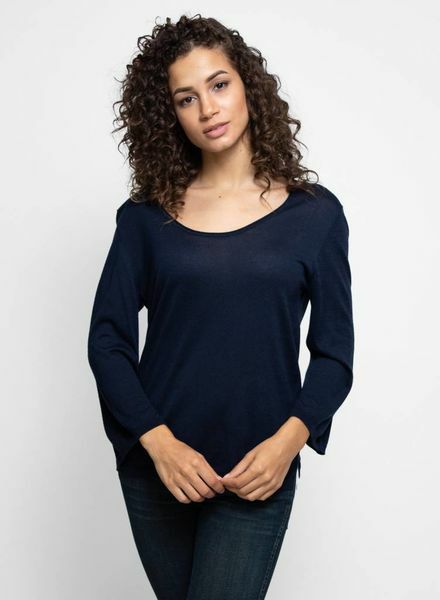 A long sleeve top with ruffled detailing at the cuffs and neck. It has a self tie and V cut at the neck. 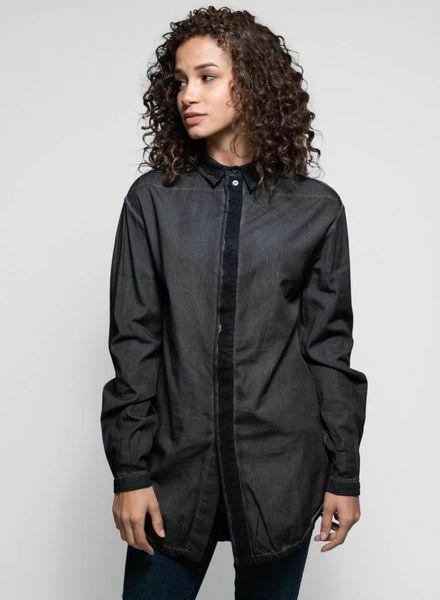 A loose fitting top with long sleeves, self-tie cuffs, and side slits. 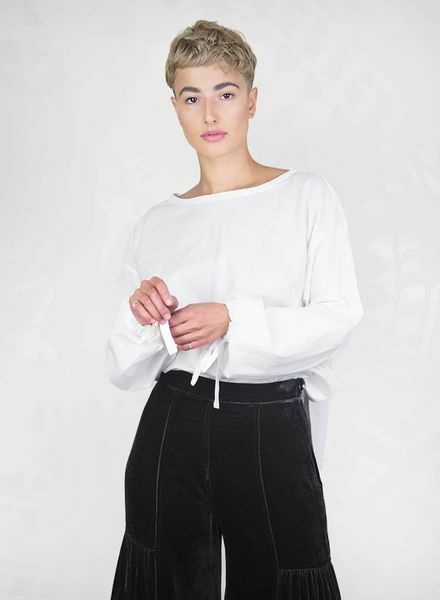 A top with long draped sleeves, embroidered detailing, soft pleated hem, and keyhole back enclosure. 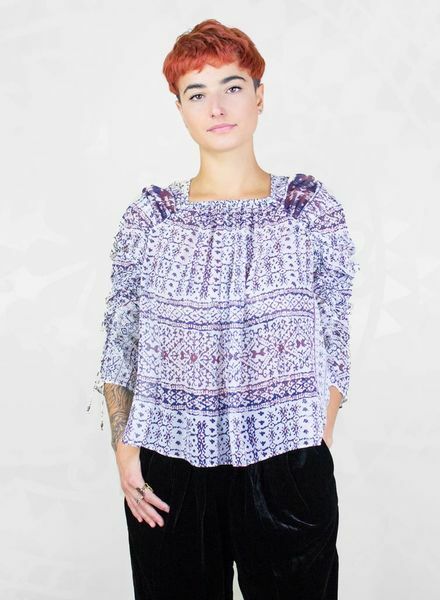 A long sleeve blouse with pleated front. 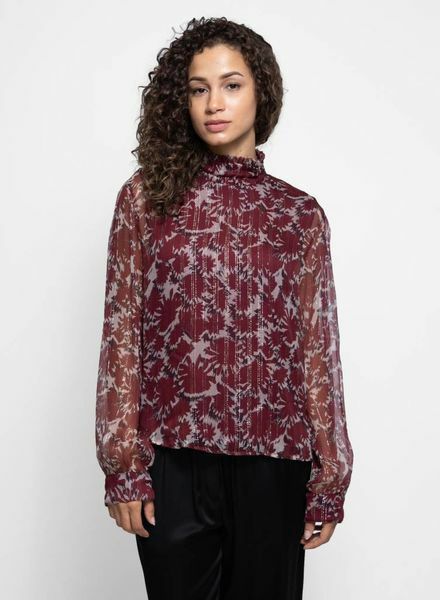 A romantic silk velvet blouse with a ruffled neckline, straight sleeves and hem, with a back button closure. 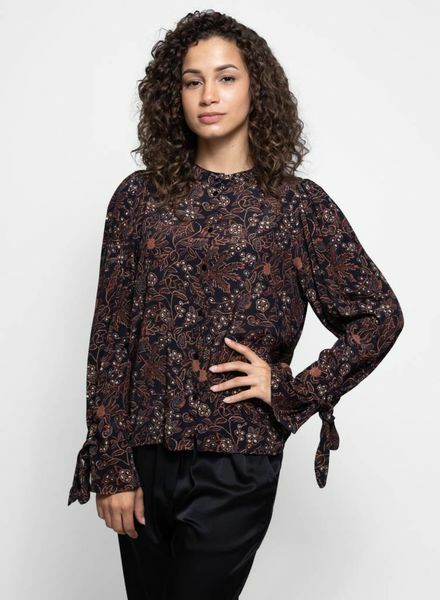 A printed silk blouse with a square neckline, softly gathered sleeves, and adjustable ties at the cuff. A cashmere boucle knit with a ribbed turtleneck and flared raglan sleeves.